Landslide on Highway 1 near Gorda in Monterey County. The road closure has caused three-hour detours for travelers, it's costing Big Sur businesses a lot of money, and making life difficult for residents. 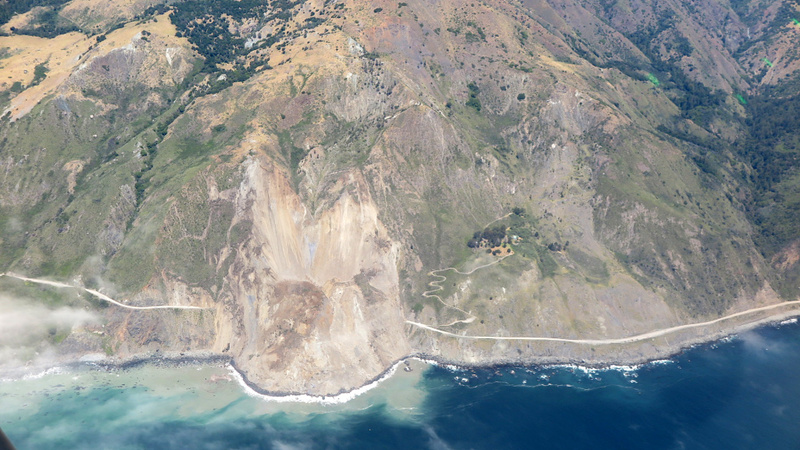 For folks at Caltrans, this may be the biggest landslide at Big Sur, but environmental damage like landslides and erosion are pretty normal. "I can talk to you for hours about the flooding and issues we've had," said Colin Jones, Caltrans Public Affairs manager for the central coast. "And that's just part of dealing with, you know, a road that's on the last twenty feet of the continent. You're always going to have problems. And that's that's the deal. Jones spoke with Take Two host A Martinez; to hear the rest of their interview, click play on the blue media player above.